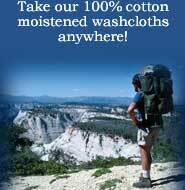 Established in 2001, White Towel Services, Inc. (then known as The Wet Towel) was founded by Jason Stark in a belief that America was missing the essence and quality of "Oshibori". "Oshibori" is the Japanese word for the rolled up hot towel you receive after eating at an authentic Japanese restaurant or at the conclusion of an international flight. If you have never experienced a hot towel after a long flight, it is as close as you can get to a refreshing shower in the comfort of your seat with all your clothes on. What does it have to do with growing your business? As noted, you might expect a hot towel in a Japanese restaurant or on a flight but how about in the dentist chair just after a visit from your hygienist or after a hot day on the golf course or when you check into a hotel? Nice and warm, with the light sent of lemon or lavender. How might that change what you tell your friends about the company that presented you a steaming hot towel? Simple thing. Only costs a few cents. But it could lead to a number of referrals. So what do want your customers to remember about your business? Do they experience something remarkable enough to tell their friends about it? Copyright © 2003-2019 White Towel Services, Inc. All rights reserved.